Newborn photography is challenging enough… throw in a toddler and that’s next level! You could just pop that toddler in the frame at the absolute last second and crazily fire off a round of high speed continuous shots. Bam, done! 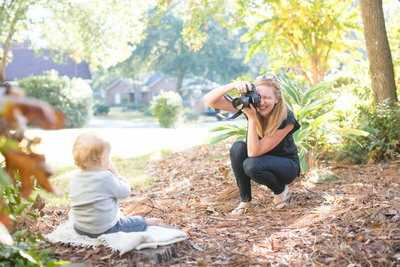 But what if you want good photos, with an engaged toddler, who wants to be there, and let’s you take more than one shot? …and very much like real life. Expectations and the pressure we place on ourselves can make or break this experience. You can plan for these sessions, but be prepared to throw it away and follow the toddler’s lead if need be! Don’t go in expecting to come away with a gallery full of images of baby and toddler, dutifully laying down together, and engaging with one another or your lens. With smiles. If this is what you’re anticipating… you’re setting yourself up for a very frustrating experience and ultimately a feeling of failure. You have a newborn. And a toddler. Let’s be realistic. If you do manage to get both of them laying there sweetly, staring at your camera and smiling, even once… go you! But don’t let that be your goal for every shot. 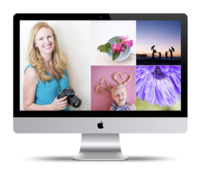 Think beyond posed photos, be flexible, and as a bonus you’ll end up with a lot more variety. Also, kids (even babies) can smell stress at a thousand paces. Chill out, and you might just get more than one of those shots, organically. If you’re photographing children other than your own, have a chat with the parents in the lead up. Ask them not to worry if their children take the lead, or about their mood. The more the parents stress, the more likely it is to lead to meltdowns. Keep reassuring them throughout that their kids are doing really well, you’re getting great shots, it’s going great. Bribery is ok! However, always ask for permission to bring treats, especially in light of potential allergies. Everyone agrees on one key tip for a successful session with a toddler – work on bonding with them at the very beginning, and make it the session all about them. On arrival, get down to their level, introduce yourself and ask their name. If they’re shy and clingy, don’t push it. Some kids just need time to watch you before they’ll engage. As soon as they warm to you, ask them to show you their bedroom or playroom, and their favourite things. Play with them – suggest a quick puzzle or read a book with them. Ask them to show you where the baby is, and ask questions about the baby. Ask them to be your helper at any opportunity. Toddlers are an island, and if you can make it all about them in any way possible, you’ll maintain their interest until they’re genuinely tired. Most of the time! Toddlers grow bored quickly, so try to get the key shots quickly and let them go. 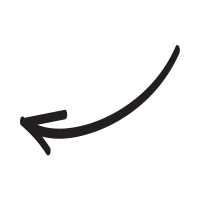 Watch for their tired or bored cues… the moment they start to resist, give them a break. Send mum or dad off to spend quality time with them and take turns getting photos with each parent and the newborn. 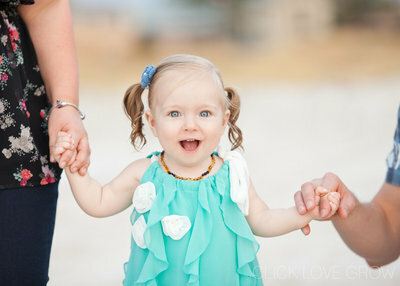 At this time you could also sneak in to photograph the moments between the toddler and their parents. Alana, Claire and Kailey approach their sessions in a lifestyle manner, aiming to capture candid moments. So whilst they don’t strictly pose, they will set their subjects up in comfortable positions and locations designed to help them all relax. Then they’ll use prompts to draw out authentic moments and interactions. The parent’s bed is the perfect location because it’s physically comfortable and informal so families just naturally relax there. If the parent’s bed isn’t in great light, try a big comfy sofa, or setting something up on the floor. Toddler and baby laying together, nose to nose. Toddler on his back with baby laying beside him on his outstretched arm. Toddler sitting up with legs outstretched and baby laying with head across his lap. Toddler behind baby, prompting him to give her kisses and gentle touches. Lay them both on the bed or floor and take a shot of their feet. If small toddlers want to hold baby, do so safely and set up a cozy corner with pillows and blankets to help support toddler holding baby. Sibling and baby on tummies facing the camera. Try simply placing them near one another, and capture what happens. Lay them down with mum or dad (or both) engaging them at their feet end, and shoot from the other end. Toddler playing on the floor with the baby laying beside him. Capture him playing alongside, observing, and interacting. If the toddler is quite young or small, place them both in the crib/cot together. You’ll want to get shots of the whole family regardless. However, if you have a shy or reluctant toddler, break the ice by getting hose family shots first. It will give him a little extra time to sus you out. Put the whole family on the bed or sofa together and ask parents to interact with each other or look at the baby. Try to get them laughing and interacting, eg. “everyone look at baby”, “pretend dad did a pop off “. Get mum or dad laying and playing with both kids, and ask them to tickle, kiss, sing to them, etc. One of Claire’s favourite photos is the toddler smiling at the end of the bed with the parents and new baby in the background. She says children love participating in this photo. On the floor of toddler’s bedroom, with toddler playing in the background… he’ll eventually come over of his own accord. Toddler and newborn on mum or dad’s knee (or both), with toddler facing newborn, and get in tight. Get mum or dad to read to the toddler, while the other parent is holding the baby, or the baby is laying on the bed with them. Take multiple angles and framing of the same set up, eg. if they’re holding the baby, take from front on, top down, different details (hands/heads/clothing etc), wide shot, close up etc etc. Whether you’re posing them or capturing them as you find them, keep them engaged. Try these prompts to encourage interactions and candid moments, and to keep the toddler interested. Smell baby’s feet to see if they are stinky. Tickle baby’s little toes to see if they’re ticklish. Touch baby’s fingers, touch baby’s toes, touch baby’s nose. Give baby a little kiss on the head. Count baby’s fingers and toes. Do you like to cuddle her? You could get silly and say “is it purple?” to draw out natural laughter. Find out their favourite character and ask “who’s your favourite (for example) paw patrol? Who’s baby’s favourite paw patrol?”. They will probably laugh at you thinking you are ridiculous and fun! Ask the parents what songs their toddler is interested in and break out in song! Ask the toddler to sing their favourite song to the baby. Tickle them gently and then hide behind your camera. Ask the toddler to give their baby the dummy or bottle (assuming they have either). Above all, give loads of praise. If the toddler kisses the baby, exclaim about how amazing that was, and maybe ask him to do it again and to see if he can kiss for longer this time (so you can get the shot!). If they’re in a good mood and want to be involved from the start, awesome. Jump on it straight away… they have a small window, you don’t want to miss it! But sometimes, no matter how big your bag of tricks, toddlers don’t want any part of the session. Don’t force it… you just have to go with it. They might just need time to warm up. Leave them be, take some other shots. Let them think it’s their idea. When you come back to them, casually ask them for their suggestions. Young children love being on their parent’s bed, so use it to take photos of the baby, and casually ignore him. This is a great way to draw him naturally into the frame. Seize any opportunity to photograph siblings with their new baby – wherever they’re playing, bring the baby to them and place him or her nearby. Then just capture their natural interactions. Be ready for any spontaneous moment where he interacts with the baby, or even just comes near. Expect lots of pauses during this kind of session as baby’s needs are attended to, and the toddler takes his breaks. Rather than waiting around, photograph it all! Involve the toddler in the routine of attending to baby’s needs. Encourage him to peek into baby’s bed, to help with bathing, changing, dressing and feeding if possible. We hope you found our tips helpful! Let us know in the comments if you have any questions! A warm shoutout to our fabulous contributors! 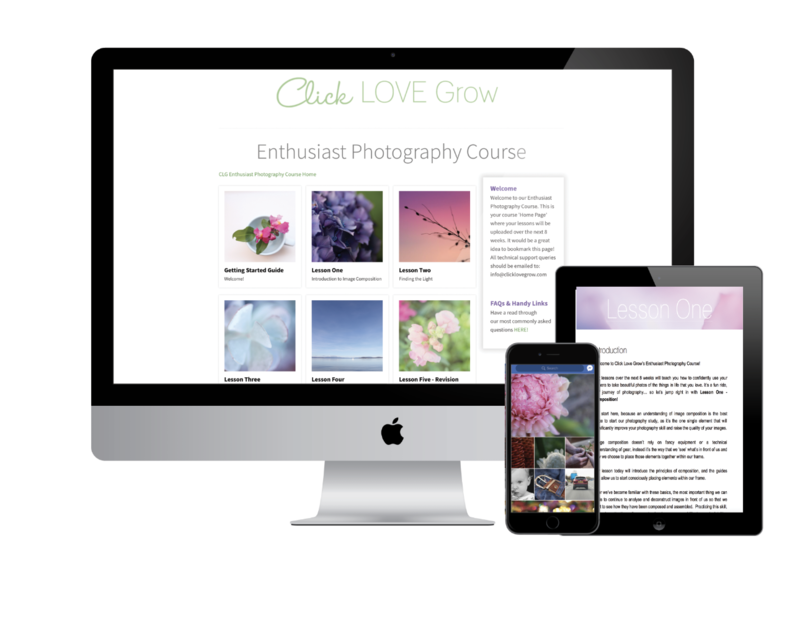 Kailey is a Click Love Grow graduate and photographer of families based in Canada. For inspiration or to book a session, you’ll find her at Kailey Jane Photography, Facebook and Instagram. 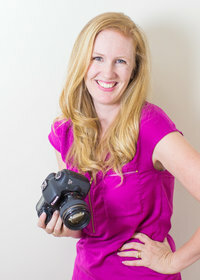 Alana, is another talented Click Love Grow graduate and photographer of families, maternity, newborns and Fresh 48 sessions. She’s based in Perth, in Western Australia, and you can find her here Alana Prosper Photography, at Facebook and of course over on Instagram. 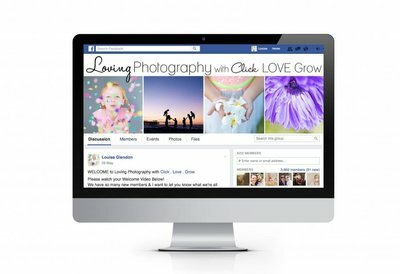 Claire is also a Click Love Grow graduate and photographs families, maternity, newborns and Fresh 48 sessions. She works in and around Bendigo, in regional Victoria. For inspiration or to book a session, you’ll find her at Claire Eastman Photography, Facebook and Instagram. Download your FREE Toddler & Newborn Posing & Prompt Cheat Sheet for a summary of tips you can print out and take with you when photographing a newborn and toddler.